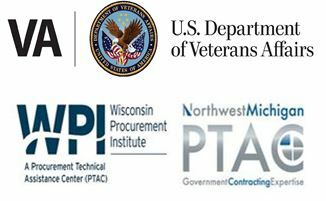 The National Contract Management Association along with the Wisconsin Procurement Institute are hosting the 6th Annual DoD Contract Management Update on 8 May 2019 in Oshkosh, WI. We are fortunate to have an excellent collection of subject matter experts presenting on DoD mandated Contractor Business Systems. If you are a current DoD contractor, you understand DoD’s focus on ensuring contractors maintain adequate business systems including Estimating, Purchasing, Property Management, and Material Management and Accounting Systems (GAO Report linked below). Also, the US SBA will be joining us to provide an update on NDAA FY2019 Small Business Matters. The Department of Defense uses data from contractors’ business systems—e.g., accounting or purchasing systems—to guard against fraud, waste, and abuse in DOD contracts. For example, reviewing data from a contractor’s accounting system can help keep the contractor from overcharging. DOD must review contractors’ business systems to ensure that the data from them can be used. We’ve previously found that it was years behind on some of these reviews. DOD has an ambitious plan to catch up on these reviews in 3 years, but has no way to measure its progress. We recommended that DOD monitor and assess whether it’s completing these reviews as planned.